MOTHA NATURE's Place ~Health, Wellness & Whatnot~: Repost--> SPRING INTO GREAT HEALTH!! Repost--> SPRING INTO GREAT HEALTH!! BOUNTYFULL BERRIES Blackberries, Blueberries, Raspberries, Strawberries, etc… are Plump, Delicious and Packed with Antioxidants, Vitamins and, believe it or not, Minerals (especially darker ones). 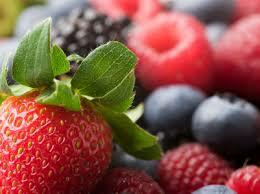 Spring Berry Salad Mix a variety of berries together in large bowl.